ON A PLEASANTLY OVERCAST AFTERNOON, 40 PASSENGERS ABOARD THE LOTH LORIËN drifted off the Woolwich riverfront. Another 50 on the J. R. Tolkien followed behind. 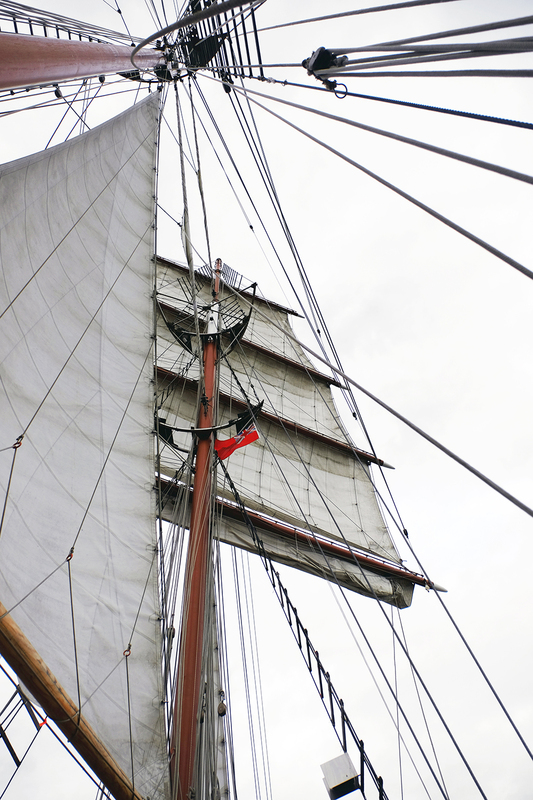 Webs of rope trembled overhead, and soon, bare masts carried sails, sweeping us gently down the Thames. 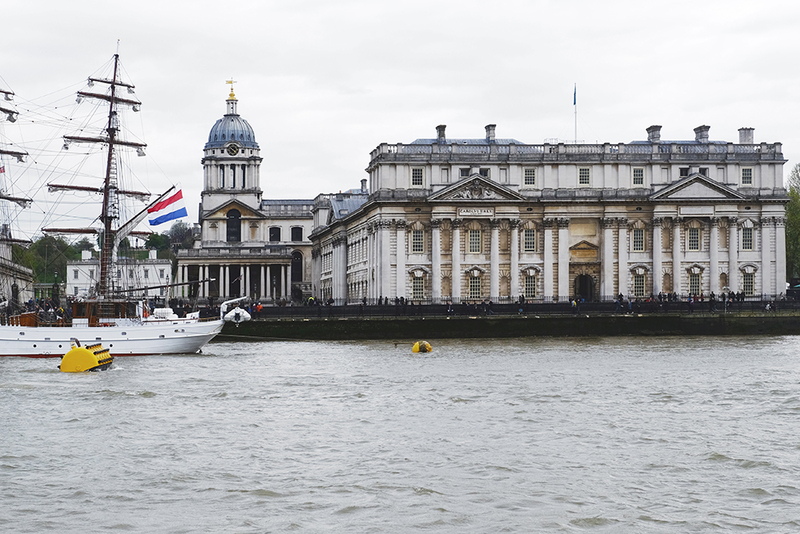 Since 2012, Maritime Greenwich and Royal Arsenal Woolwich have hosted festivities around the Tall Ships Regatta. 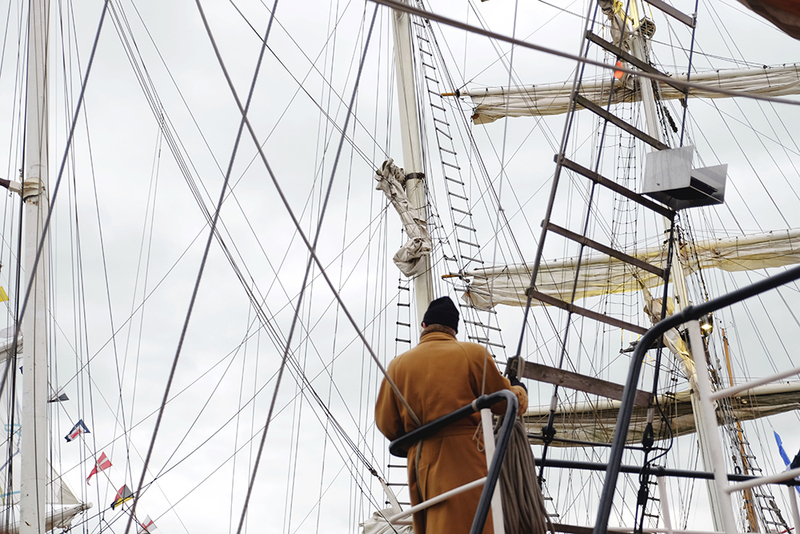 Live musicians and street performers in historic costume entertain by land, while towering ships dock at the pier or take guests on a river cruise. 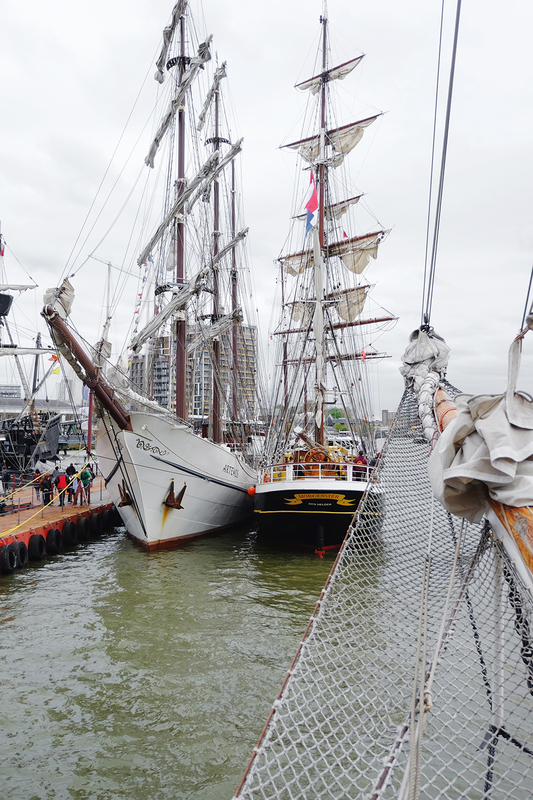 The Loth Loriën and J. R. Tolkien were among this year's 30 tall ships on showcase, prepping for a 7,000 nautical mile transatlantic race to Quebec. 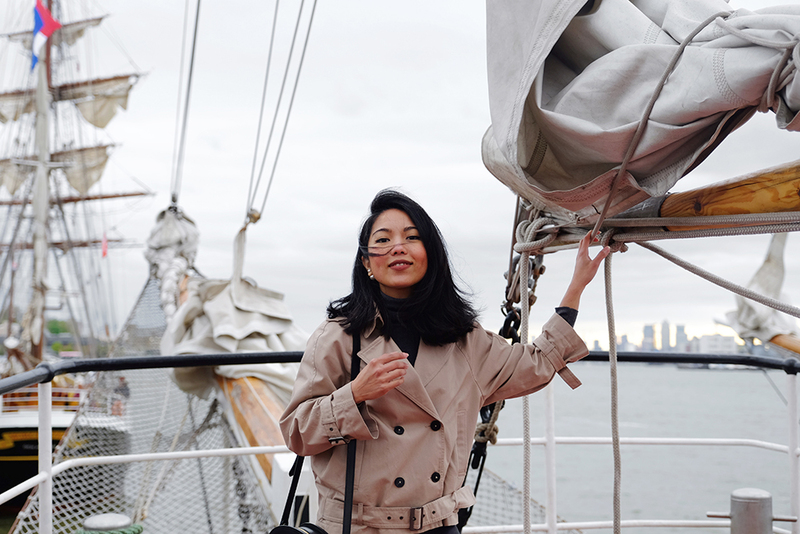 Sailing is very much a novelty to me. Until I googled them, I had no knowledge of port or starboard, aft or bow. That's the left, the right, the front, and the back of the ship respectively. Windward is the direction the wind is blowing. Leeward goes the other way. Sea legs I already knew; an attribute I like to believe I have, although it was hardly required on the very smooth ride. 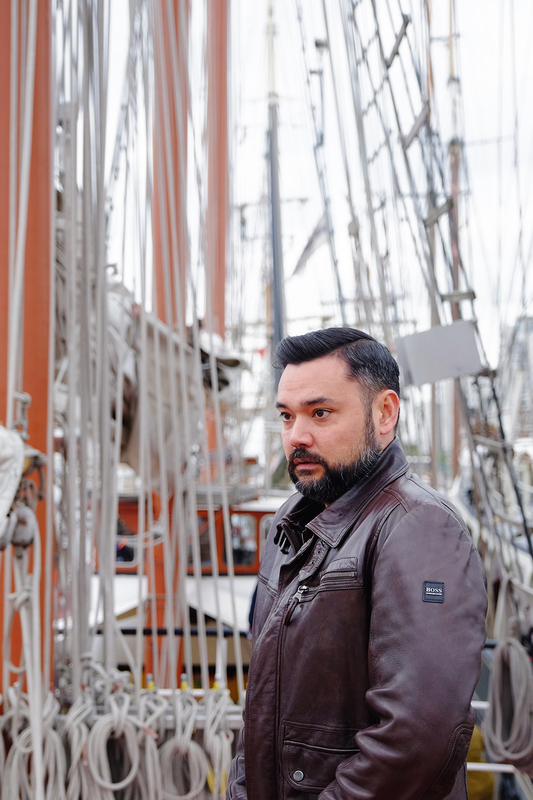 Outside of boating-specific terminology, there are in fact many words and phrases in everyday speech that originate from seafaring. 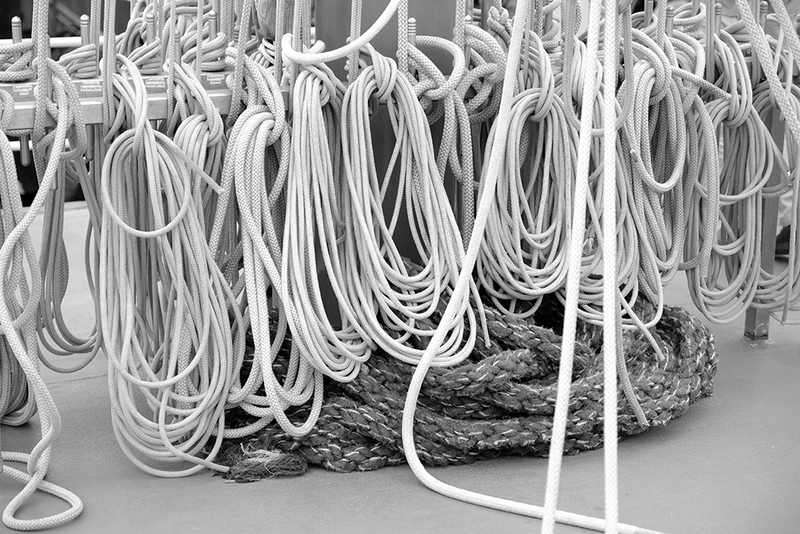 To know the ropes or understand how to do something, comes from sailors learning which rope raised which sail. To be startled or taken aback hails from the sails of a ship being aback when the wind blows them flat against their masts and spars. To be stranded, or left high and dry originally referred to ships that had been out of the water for some time. 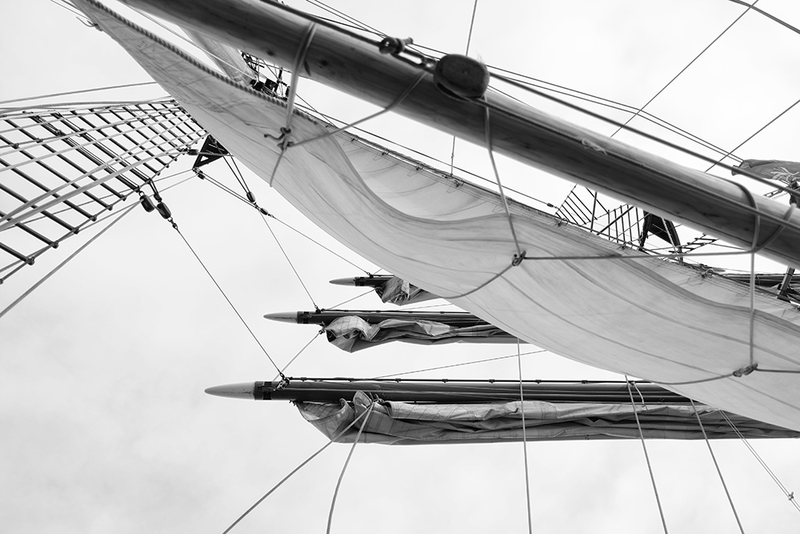 The age of sail, from which most nautical phrases originate, may have declined long ago. But shipping and maritime transport in general continue to thrive as effective, more economical alternatives to transport by air. 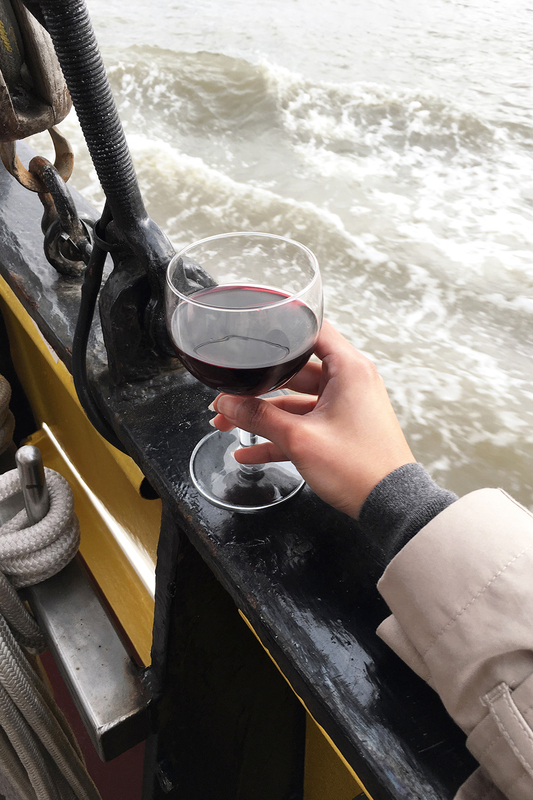 Recreational boating on the other hand offers a delightful departure from life on land; there's the breeze, buoyancy, and on the Loth Loriën at least, waffles and wine. 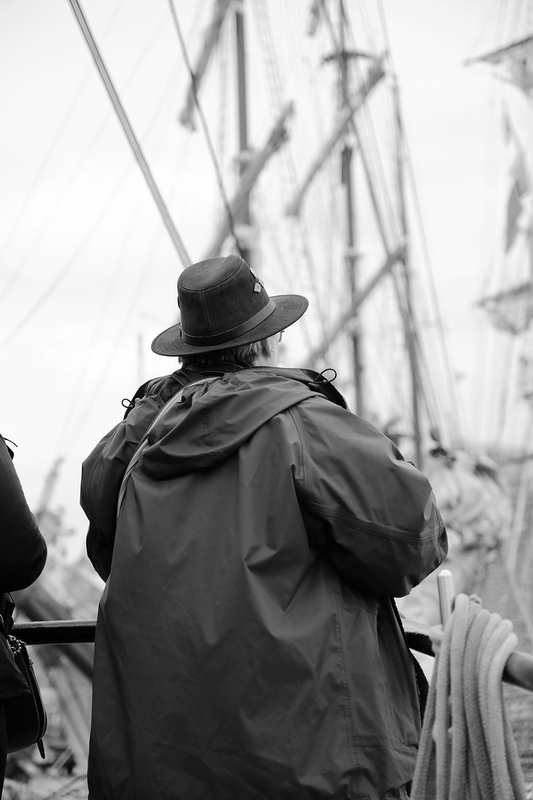 The Van der Rest Sail Charter's two tall ships sail under the Dutch flag, with Tolkien aficionado Captain Jaap Van der Rest at the helm. Yes, another nautical term referring to the literal steering of a boat, or being generally in charge. I say trust a Lord of the Rings fan to show you a fine time. The Loth Loriën at the 2017 Tall Ships Festival in Greenwich, restchart.com Photos by Lady San Pedro and Jaime Sese.